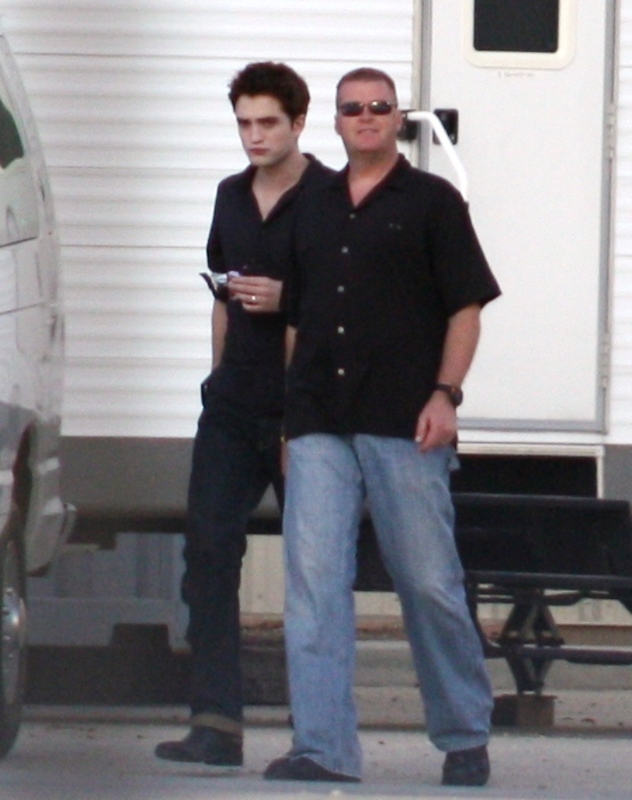 Robert Pattinson was spotted yesterday on the set of “Breaking Dawn” in Baton Rouge wearing a wedding ring. 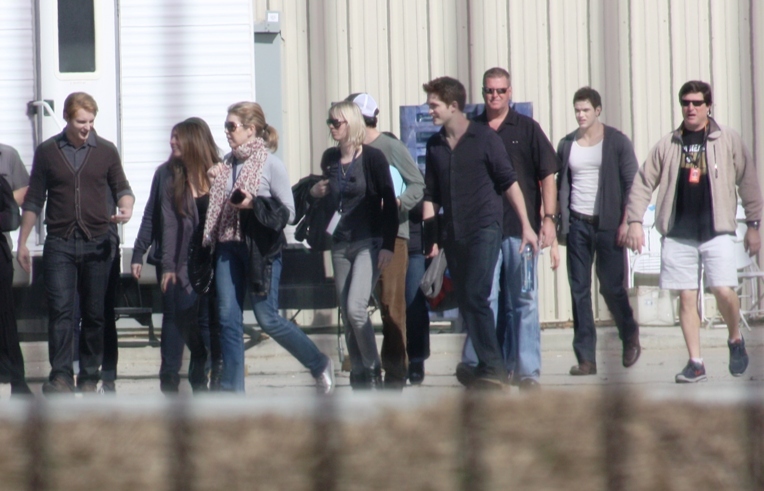 The “Twilight” star was seen on set alongside cast members Peter Facinelli, Kellen Lutz and “Twilight” author Stephenie Meyer. Although Kristen Stewart was nowhere to be seen, she must have been close-by with her on-screen husband wearing a ring, which suggests the couple were shooting scenes together. Although Rob has been busy filming, he was spotted over the weekend out and about, much to the delighted of fans. “A couple of girls who work in here are young … and they were absolutely star struck,” a source at Maxwell’s Market, where the actor dropped in for sandwiches, told People magazine. “He’s just a regular guy, and that’s how we try to treat him,” said the source.